Team Building - Atlanta Rocks! Atlanta Rocks! will customize your event to meet your needs by providing as much or as little structure as you desire. A typical program might feature an exciting mix of rock climbing activities which foster cooperation, communication, and teamwork while challenging attendees to achieve goals which may initially seem improbable or impossible. Standard Climbing Competition: This is a basic competition in which the person who climbs the highest wins. Speed Climbing: The climber who gets to the top in the shortest amount of time wins the event. Elimination Climb Off: Each climber is allowed to eliminate a hold from a route prior to climbing it. The climber who finishes the route using the least number of holds wins the Climb Off. Traverse Tag: One climber is given a head start traversing the wall, a second climber sets off in pursuit. Twister: Similar to the popular game you played as a young adult applied to a climbing wall. Three-Handed Climb: In this event, climbers on adjacent routes would have to hold inside hands causing them to work as a team. Blindfolded Climbing: The climber is blindfolded and given instructions, beta, from a team member on the ground. Traverse Relay: Climbers would be divided into teams. The first climber from team A would begin to traverse the wall. As each climber comes off the wall the next member of the team would continue where the preceding climber left off. The team that traverses the farthest wins the relay. The Bucket Fill: In this head-to-head relay race, teams rush to fill buckets suspended on the climbing wall with rubber chunks gathered from Atlanta Rocks! unique shock-absorbing landing surface.  You may choose events from the list above or work with Atlanta Rocks! staff to create a new event designed to meet your specific team building goals. No prior climbing experience is required. — Use of the facility. — Approximately one belayer for every six people. — Harness and climbing shoes.